The Microsoft Surface Book runs on Windows 10 Home Edition. 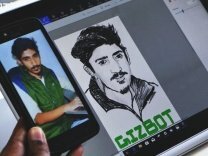 The laptop features a 15 inch,PixelSense Display,3240 x 2160, 260 PPI Pixels and is powered by a Intel Core i7 (8th Gen),4.2GHz "max turbo" processor. To enhance multi-tasking and fast speed, the company has offered a 16 GB RAM. Talking about the storage, the laptop uses a 1TB SSD storage.There is a 4K Display,Bluetooth,Quick Charging,Retina Display and more.The laptop has a 4 Cell battery that will give enough battery life to the users. Microsoft has officially launched the Microsoft Surface Book 2 range of convertible 2-in-1 laptops in India for a starting price of Rs 86,999. These Windows 10 powered notebooks will be available in India in 13.5-inch and 15-inch display variants. 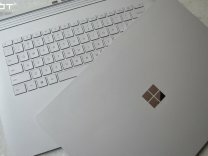 In November 2017, Microsoft had launched the Surface Book 2 laptop in two variants; 13-inch and 15-inch.